SBS has confirmed the 5 new participants in Season 2 of Filthy, Rich & Homeless who will forgo home comforts to live homeless in Sydney for 10 days. 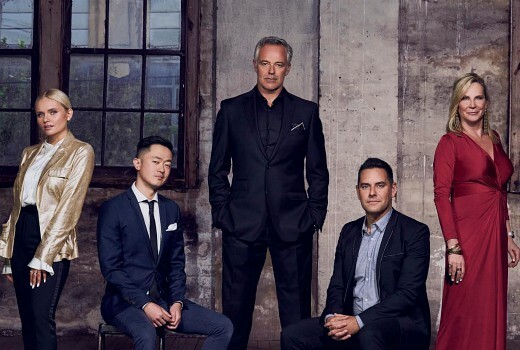 They are actor and broadcaster Cameron Daddo, charity fundraiser and Sydney socialite (and wife of TV exec David) Skye Leckie, author and journalist Ben Law, politician and activist Alex Greenwich and singer and Instagram star Alli Simpson. SBS Director of TV and Online Content, Marshall Heald said: “The second series of Filthy Rich & Homeless is an honest and compassionate exploration of what it’s like to be homeless in Australia today as it shines a light on a part of our society often overlooked and ignored. There’s a crisis in Australia and it’s getting worse. Latest figures show 116,000 people have no place to call home. After sparking a national discussion on the homelessness crisis in 2017, Filthy Rich & Homeless returns for a second series. This time, five high-profile Australians with the potential to effect positive change will swap their privileged lives to discover what life is like for the nation’s homeless in the country’s most expensive city – Sydney. Produced by the award-winning Blackfella Films (First Contact, DNA Nation, Deep Water: The Real Story) Filthy Rich & Homeless airs on SBS over three nights at 8.30pm on Tuesday 14, Wednesday 15 and Thursday 16 August, followed by a live special at 9.30pm on Thursday 16 August. The five volunteers have agreed to swap their privileged lifestyles for 10 days of being homeless in Sydney. Their preconceptions about homeless people will be shattered as they find out what it’s like to go from having everything to having next-to-nothing. With their phones, ID and money taken from them, the five participants will each be given second hand clothing, a sleeping bag – and nothing else. Leading the five participants on the social experiment is celebrated journalist and passionate advocate for the issue Indira Naidoo, and social researcher and homelessness expert Dr Catherine Robinson. For an eye-opening and life-changing 10 days, the group will be separated and each will experience different forms of homelessness – from sleeping rough on the streets, to crisis centres and temporary accommodation, including boarding houses. They will meet those who live without a home every day, hear their heartbreaking stories of survival against the odds and gain a unique insight and understanding of the varied and complex reasons for how and why homelessness exists. Filthy Rich and Homeless is produced by Blackfella Films for SBS in association with Screen Australia and with assistance from Create NSW. It is based on a format created by Love Productions, broadcast by the BBC in the UK and distributed by BBC Worldwide. Tuesday 14, Wednesday 15 and Thursday 16 August on SBS from 8.30pm. A special live studio program will air directly after episode three. With this government, I honestly doubt it. All they would do is increase the cashless welfare trial to more locations, which if you read the latest studies on, is not working and making the most vulnerable people in society’s lives’ much, much worse. Turdballs simply does not give a crap about people doing it tough, in fact, every policy they have screws over the poor and working class to give back to the rich. Perhaps later this year or next year when we go to an election, we will see Labor win in a landslide with more Greens in the house or senate, and we may actually see some relief for these people. This show is a great thing to show Australians just how bad things are for the most disadvantaged and I hope that SBS continue with it for another few seasons. I love the SBS and ABC, as it seems they are the only ones with the guts to tell us the truth. To be honest you don’t need much imagination or celebrities doing a show like this to know that Homeless people have it toughest full stop. i just wonder if anything will actually change as a result of a doco like this. Don’t get me wrong its good that SBS is shining a light on it and in prime time, i am just cinical whether anything will change policy wise as a result of airing this show. I’ve definitely given more often since watching first season. Not all the time, but I am more conscious of it. The article indicates that homeless organisations saw a difference after the previous show. But you question change in “policy”, and I think you are right. Maybe one day the conscience of the ordinary people touched by the program will be enough to impact on policy. Let’s hope.